Speaker from 3-02-1982 to 23-06-1982. Member, 6th KLA [Parur-INC (U)], 7th KLA [Parur-INC] Elected in bye-election held on 22-5-1984 and took oath on 31-5-1984. 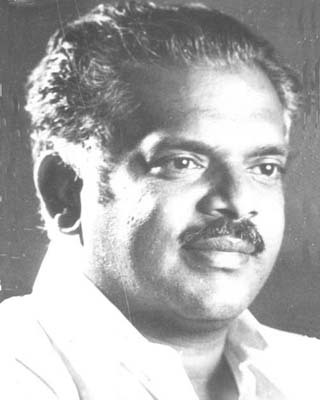 Son of Shri A.C. Chacko; born on 09 May 1937; Wife : Prof. Leelamma Jose; 3 Sons, 1 Daughter. Graduate, LLB, M.L Course Completed; Advocate and Journalist. Chairman, Committee of Privileges (1986-87), Committee on Estimates (1984-86) and (1986-87). Member, Lok Sabha (1996-97), (1998-99) and (1999-04). Mayor, Cochin Corporation; President, KSU, Kerala Sports Council; Vice President, KPCC; Founder General Secretary, KSU, Youth Congress; Treasurer, INTUC; Member, Indian Delegation to the U.N. General Assembly in 1996, 1998 and 2003. Managing Editor : ‘Veekshanam’ daily, Chief Editor : Veekshanam weekly. Address : Ambat, Jos Junction, Ernakulam, Kochi. Pin 682 016.